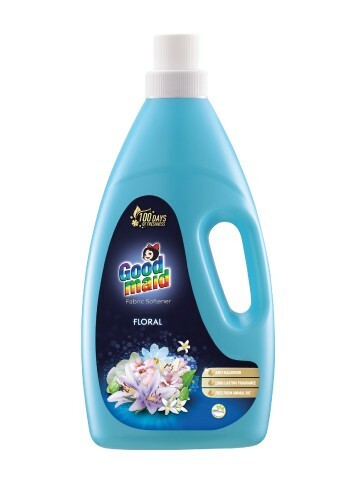 Fabric Softener - Goodmaid Chemicals Corporation Sdn. Bhd. • Improved anti-static formula for less wrinkles and ease of ironing. • Leaves clothes and fabric soft and smelling great. • Add 1/2 capful to every 4.5 litres of water at the final rinse. • Stir thoroughly and leave clothes to soak for at least 2 minutes. • TOP LOADING : Pour 1 – 2 capful into final rinse or dispenser. • FRONT LOADING : Pour 2 capful into the final rinse or dispenser.